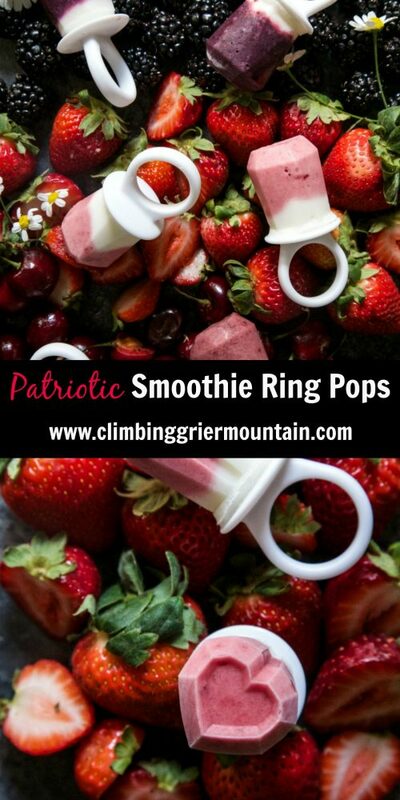 Patriotic Smoothie Ring Pops are a fun festive treat to serve during summer! 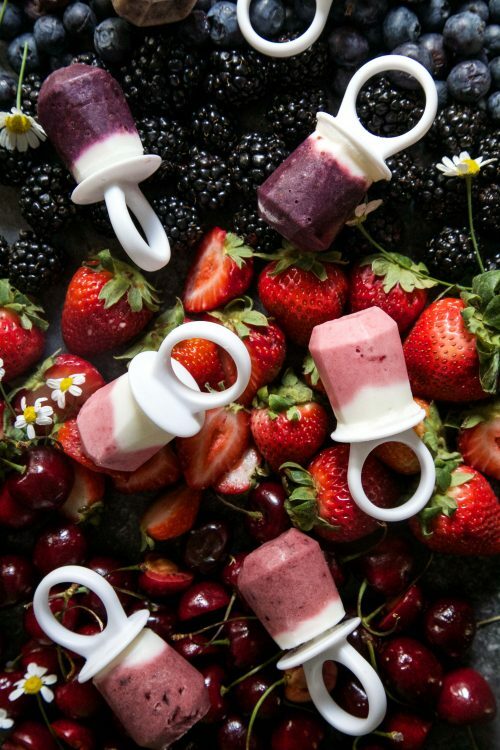 Use any fruit you have on hand to create a festive ring pop! Enjoy summer in style. Happy (almost) Fourth of July! Can you believe it’s July already? I remember as a kid thinking once 4th of July rolled around that meant we were closer to the first day of school starting. Seriously, what kind of kid thinks that way? Am I the only one? My back-to-school quirky-ness might have a little something to do that with the fact that I have a slight obsession with school supplies. I could have spent the month of July just organizing my Lisa Frank pens and pencils. Don’t judge. Anyway, to keep our (my) mind focused on the holiday, I have the best surprise for y’all. I am telling you, your inner kid is going to flip the eff out. A couple of weeks ago, I was perusing the aisles of Target when I found these ice cream ring pop molds. I might have SQUEALLLLLLED loudly and looked around for someone to acknowledge at what I just found. I jumped up and down for a good minute and then bolted to checkout because I was on a mission to see if these truckers actually worked. I think that was the first time I actually left Target without spending $147. Can I get a high-five? To be honest, I spent at least 23 minutes debating what I was going to make first using these molds. Should I go the neon route? Maybe just do a traditional red ring? But then I thought how fun would it be to make a few of these for the Fourth of July and then my little nieces could run around showing off their Patriotic bling? GENIUS! 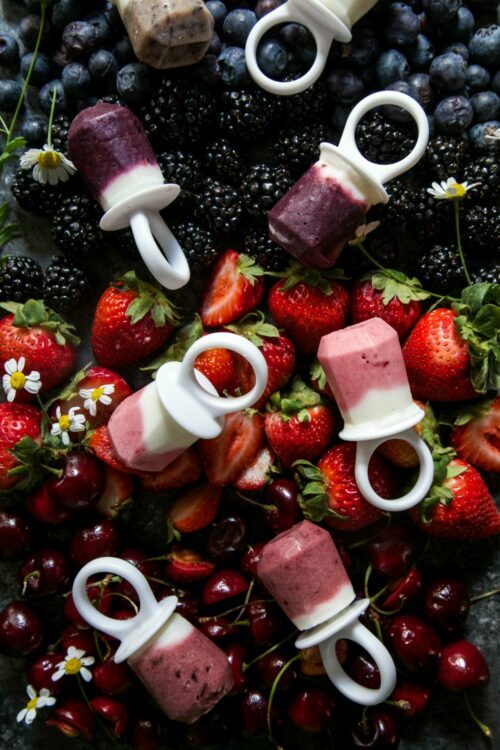 So, to celebrate America’s birthday in true style, I give you Patriotic Smoothie Ring Pops!! Seriously, are these not effing EPIC? I can’t contain my excitement. I went with a variety of flavors – cherry, blueberry, blackberry, and strawberry. I simply pureed the fruit, poured it halfway up the mold followed by Greek yogurt and then stuck them in the freezer! Once they are set, pull the rings out of the molds and then show off your love for the red, white, and blue in style! Have a great holiday, friends!! 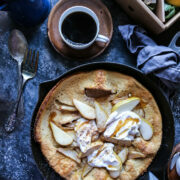 In a medium bowl combine Greek yogurt, milk agave, and vanilla extract. Once combined, set bowl aside. 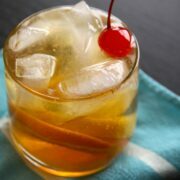 In a small food processor or blender add the cherries, milk, and sugar. Pulse to combine until smooth pour the mixture into a bowl and set aside. To assemble: pour a small amount of cherry puree into the bottom of the ring mold. Add a slice of cherry in the middle followed by a small amount of the smoothie base. Insert ring handle. Repeat process one more time. 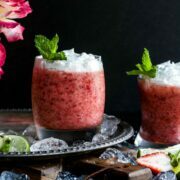 In a small food processor or blender add the strawberries, milk, and sugar. Pulse to combine until smooth pour the mixture into a bowl and set aside. To assemble: pour a small amount of strawberry puree into the bottom of the ring mold. Add a slice of strawberry in the middle followed by a small amount of the smoothie base. Insert ring handle. Repeat process one more time. 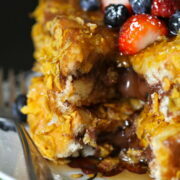 In a small food processor or blender add the blueberry, milk, and sugar. Pulse to combine until smooth pour the mixture into a bowl and set aside. To assemble: pour a small amount of blueberry puree into the bottom of the ring mold. Add a blueberry in the middle followed by a small amount of the smoothie base. Insert ring handle. Repeat process one more time. n a small food processor or blender add the blackberries, milk, and sugar. Pulse to combine until smooth pour the mixture into a bowl and set aside. 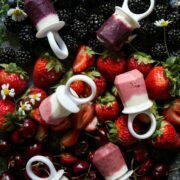 To assemble: pour a small amount of blackberry puree into the bottom of the ring mold followed by a small amount of the smoothie base. Insert ring handle. Repeat process one more time. Once all the pops have been assemble, place the entire mold into the freezer for at least 8 hours. 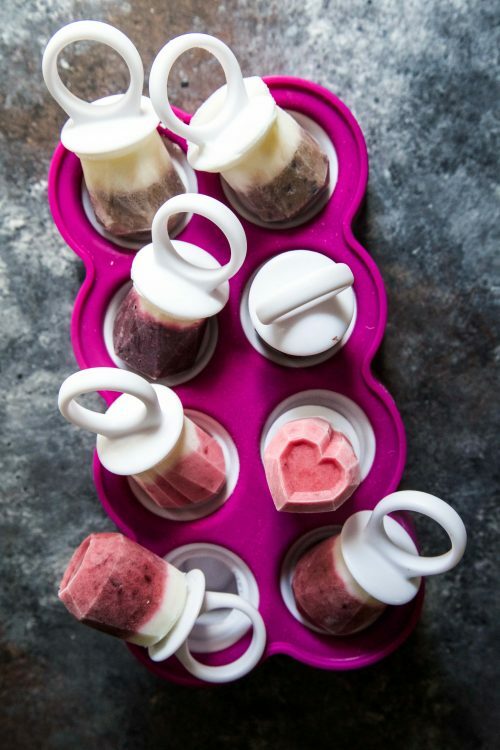 Once the pops are frozen, gently remove the pops from the mold and enjoy! *For the smoothie base and fruit puree you will have extra. 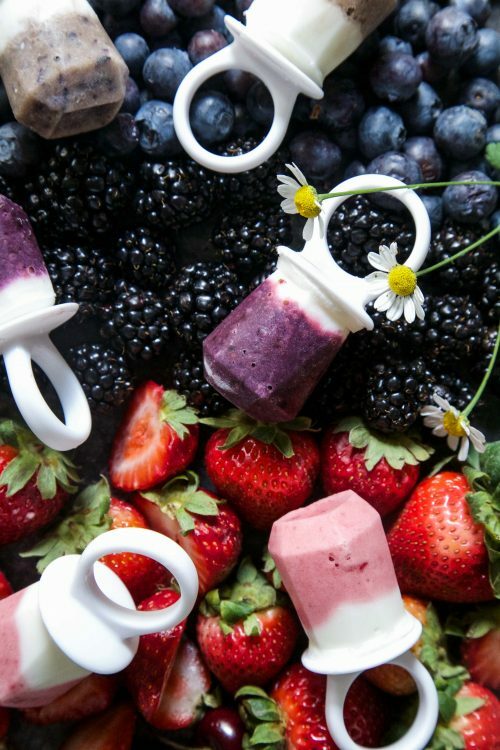 Feel free to make more ring pops or pour the mixture into larger ice cream molds! These. ARE. AMAZING. I wish i had more time to make them for tomorrow….but I guess I’ll make them these weekend…better late than never! Oh my gosh these are ADORABLE! I’ve gotta find these molds! 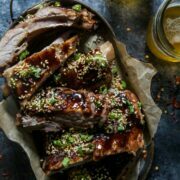 My kids would love them! 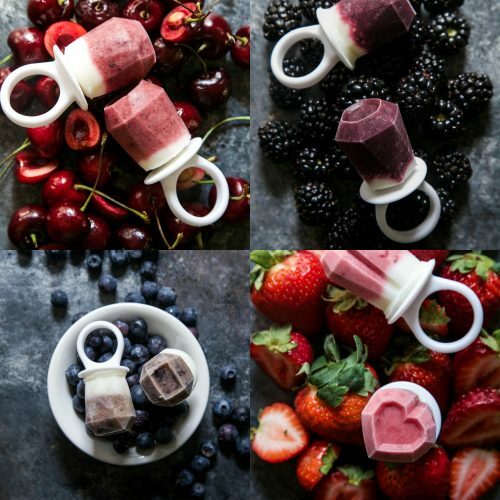 These are just the cutest popsicles and my kidlets would flip some serious somersaults to have these!